Climate change is set to increase the amount of ground-level ozone and fine particle pollution we breathe, which leads to lung disease, heart conditions, and stroke. Less rain and more heat means this pollution will stay in the air for longer, creating more health problems. Our research, published in Nature Climate Change, found that if climate change continues unabated, it will cause about 60,000 extra deaths globally each year by 2030, and 260,000 deaths annually by 2100, as a result of the impact of these changes on pollution. This is the most comprehensive study to date on the effects of climate change on global air quality and health. Researchers from the United States, the United Kingdom, France, Japan and New Zealand between them used nine different global chemistry-climate models. Most models showed an increase in likely deaths – the clearest signal yet of the harm climate change will do to air quality and human health, adding to the millions of people who die from air pollution every year. Read more: Can we blame climate change for thunderstorm asthma? Climate change fundamentally alters the air currents that move pollution across continents and between the lower and higher layers of the atmosphere. This means that where air becomes more stagnant in a future climate, pollution stays near the ground in higher concentrations. Ground-level ozone is created when chemical pollution (such as emissions from cars or manufacturing plants) reacts in the presence of sunlight. As climate change makes an area warmer and drier, it will produce more ozone. Fine particles are a mixture of small solids and liquid droplets suspended in air. Examples include black carbon, organic carbon, soot, smoke and dust. These fine particles, which are known to cause lung diseases, are emitted from industry, transport and residential sources. Less rain means that fine particles stay in the air for longer. While fine particles and ozone both occur naturally, human activity has increased them substantially. The Intergovernmental Panel on Climate Change has used four different future climate scenarios, representing optimistic to pessimistic levels of emissions reduction. In a previous study, we modelled air pollution-related deaths between 2000 and 2100 based on the most pessimistic of these scenarios. This assumes large population growth, modest improvements in emissions-reducing technology, and ineffectual climate change policy. That earlier study found that while global deaths related to ozone increase in the future, those related to fine particles decrease markedly under this scenario. In our new study, we isolated the effects of climate change on global air pollution, by using emissions from the year 2000 together with simulations of climate for 2030 and 2100. The projected air pollutant changes due to climate change were then used in a health risk assessment model. That model takes into account population growth, how susceptible a population is to health issues and how that might change over time, and the mortality risk from respiratory and heart diseases and lung cancer. In simulations with our nine chemistry-climate models, we found that climate change caused 14% of the projected increase in ozone-related mortality by 2100, and offset the projected decrease in deaths related to fine particles by 16%. Our models show that premature deaths increase in all regions due to climate change, except in Africa, and are greatest in India and East Asia. Using multiple models makes the results more robust than using a single model. 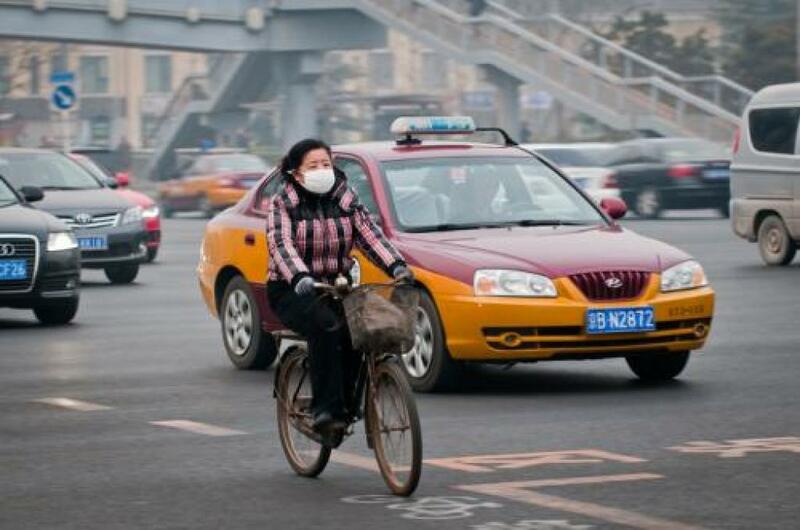 There is some spread of results amongst the nine models used here, with a few models estimating that climate change may decrease air pollution-related deaths. This highlights that results from any study using a single model should be interpreted with caution. Australia and New Zealand are both relatively unpolluted compared with countries in the Northern Hemisphere. Therefore, both ozone and fine particle pollution currently cause relatively few deaths in both countries. However, we found that under climate change the risk will likely increase. This paper highlights that climate change will increase human mortality through changes in air pollution. These health impacts add to others that climate change will also cause, including from heat stress, severe storms and the spread of infectious diseases. By impacting air quality, climate change will likely offset the benefits of other measures to improve air quality.